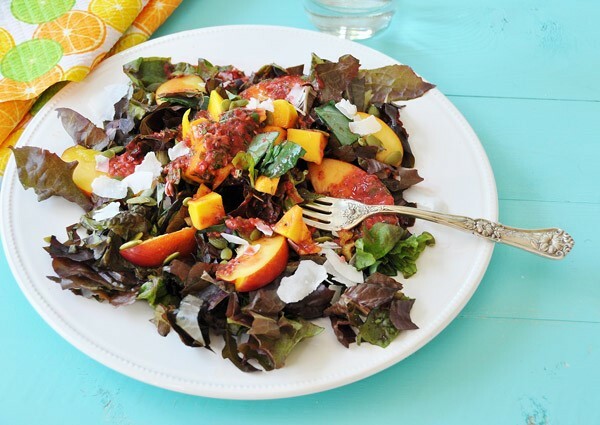 Successfully saved Mango Nectarine Salad & Raspberry Dressing to your Calendar. You can also save the ingredients to your Grocery List. Fresh greens and sweet mango and nectarine with a bright and tangy, oil free, raspberry dressing.This is what summer tastes like!